Unrivalled market insight, creativity and technology but above all, personal attention and the drive to obtain the best results for our client. These are some of the reasons the majority of our business is repeat business built up over many years. We combine knowledge and experience with youthful enthusiasm and progressive solutions to create the right marketing campaign for your property. 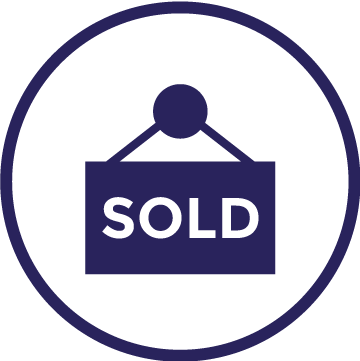 The word Agency covers the transactional or brokerage side of our business dealing with all acquisitions and disposals across the varied sectors whether by way of capital sale or lease. The ‘art’ of the agent is to generate leads and convert them into transactions that meet the specific goals of the client in the most efficient way possible. This may be achieved through comprehensive marketing or via a discreet one to one discussion depending on confidentiality and the sensitivity of the parties involved. Information about these service lines in the context of a particular sector can be seen by clicking the relevant sector page. Trust, confidentiality, professionalism and insight are words we do not use lightly. We deliver fast, efficient, commercial advice tailored to every client’s specific needs. All professional services are aimed at retaining and enhancing client value and executed by qualified Chartered Surveyors and Registered Valuers. As members of the RICS and carrying out regulated work, we ensure the highest levels of professionalism and integrity. Our services in this area span both commercial and residential property from assisting a home purchaser with a valuation to complex landlord and tenant matters for a multi-national business. Information about these service lines in the context of a particular sector can be seen by clicking the relevant sector page. Whether it’s new build, asset management or refurbishment, our Building Consultancy Team are here to assist with all of your property needs. At Primmer Olds B.A.S many of our instructions, whether it be for domestic clients through to Blue chip clients, is repeat work built on strong and trusted relationships. Value for money and honesty in the services we provide, the projects we manage and the returns we achieve for our clients is at the core of our work. Our Building Surveyors are retained and instructed through part of and/or complete ‘life cycles’ of client properties and portfolios including planned preventative maintenance, Party Walls, dilapidations, expert witness and building surveys. The professional services our diverse team can offer vary from day to day management, conceptual, preliminary or detailed design, viability and costing studies through to planning applications, detailed design and specifying, tendering and onto the construction phase delivery and project management. "We have used Primmer Olds B.A.S for a number of years now, in relation to various rent reviews and lease renewals. Bob is always efficient, professional, and a pleasure to work with, and we have been consistently pleased with the results he has achieved for us. We would highly recommend his services to anyone." “We have had the recent pleasure of completing a successful transaction through Primmer Olds B.A.S. "Paris Smith has enjoyed a professional relationship with Primmer Olds B.A.S for many years and values their hands on commercial advice"